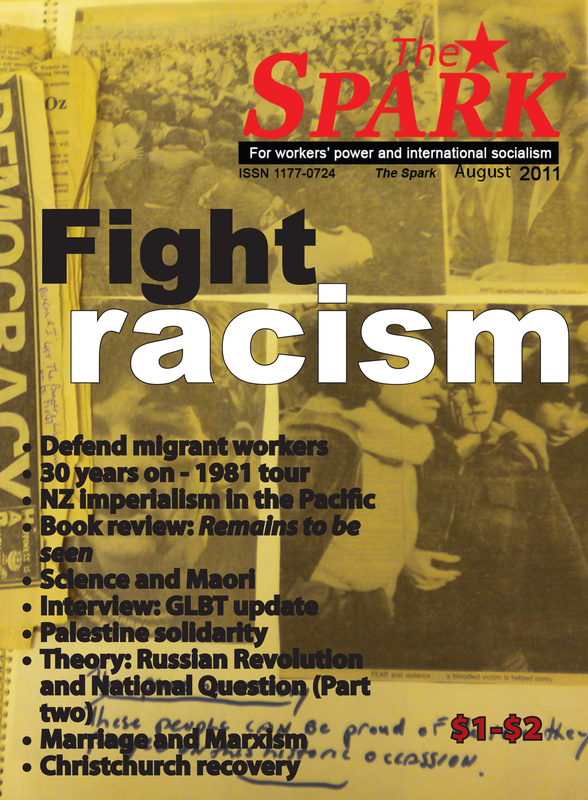 On top of normal sales and subscription copies Workers Party members sold an additional 50 copies of the July issue of The Spark at a number of one-off events in Auckland, Hamilton and Wellington (see page 6 for an account of those activities). This month’s issue includes commentary on the Christchurch rebuild, along with articles on a broad set of topics ranging from Palestinian liberation to the 30th anniversary of the protests against the 1981 Springbok tour. The issue concludes with the second part of John Riddell s article on the Russian revolution and the national question. In next month’s issue we will begin a series of articles relating to the upcoming general election.